Through the ages, marble has symbolized universal beauty, grandeur, achievement and permanence. Marble, conceived in Mother Nature’s immense laboratory, is as ancient as the earth itself. Countless millennia were required to achieve marble’s perpetual beauty. No two pieces are ever quite alike, each individual with its variety of color, diverse patterns and intricate veining. Size, color and veining of each marble piece will vary and is not considered a defect. The combination of marble and stone is as unique and the individual to whom it is presented. 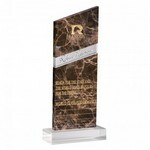 Malaga Award - Marble 6 in. 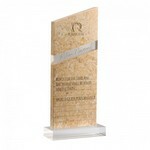 Hastings Award - Marble 7 in. 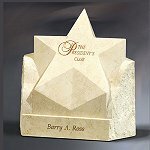 Hastings Award - Marble 6 in. Hastings Award - Marble 5 in. 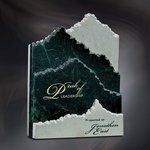 Sandton Award - Marble 7.5 in. Sandton Award - Marble 6 in. Sandton Award - Marble 5 in. 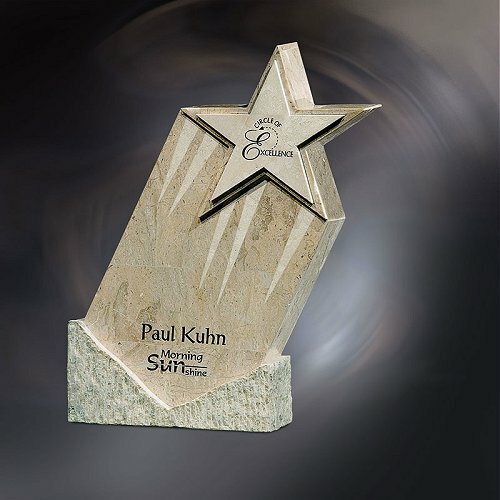 Eton Award A Mix of Green Marble and Boticino Natural Stone 8 in. 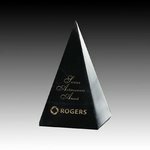 Eton Award A Mix of Green Marble and Boticino Natural Stone 7 in. Newport Award Genuine Black Marble 9.5 in. 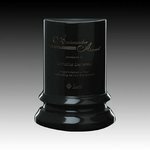 Newport Award Genuine Black Marble 7.5 in. 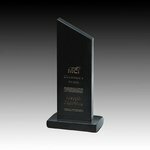 Newport Award Genuine Black Marble 5.5 in. 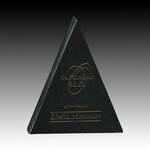 Black Marble Grooved Obelisk Genuine Marble 12 in. Black Marble Grooved Obelisk Genuine Marble 10 in. 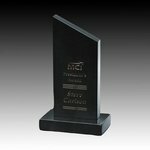 Black Marble Grooved Obelisk Genuine Marble 8 in. 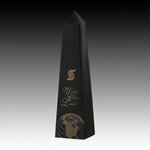 Black Marble Obelisk Award 16 in. 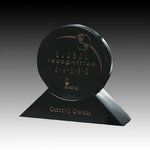 Black Marble Obelisk Award 12 in. 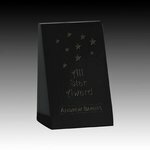 Black Marble Obelisk Award 10 in. 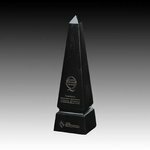 Black Marble Obelisk Award 8 in. 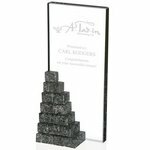 Black Marble Pyramid - 4 in.x 4 in.x 6 in. 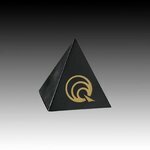 Black Marble Pyramid - 3 in.x 3 in.x 5 in. 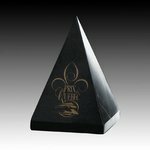 Black Marble Pyramid - 3 in.x 3 in.x 3 in. 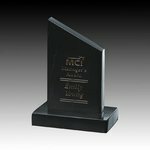 Engraved Marble Company Awards and Trophies for Corporate Recognition Awards, Sales Awards and Golf Trophies. 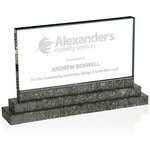 All of our awards can be engraved with your company logo and personalized with the employee or winner's name. 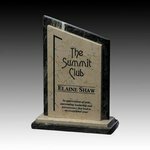 Our marble and stone awards may be purchased separately as gifts.